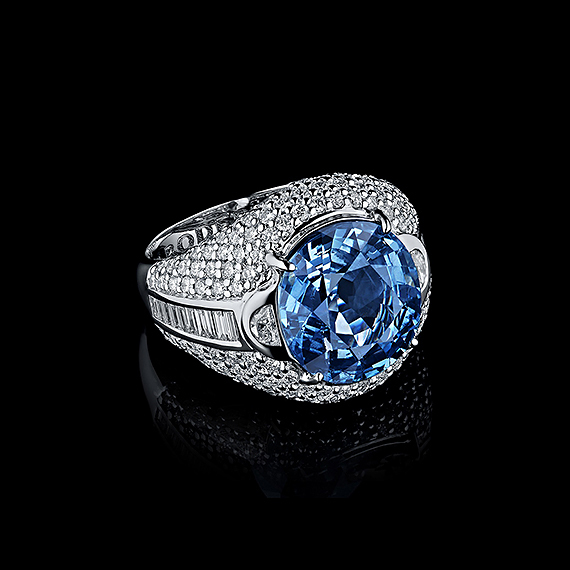 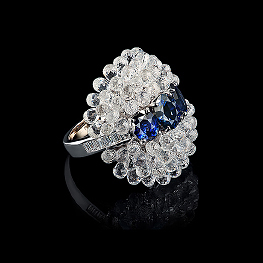 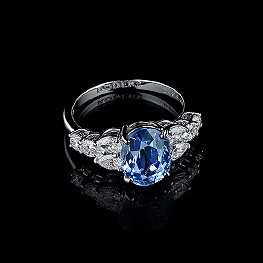 A gorgeous ring with a gentle 8,5 carats sapphire will inevitably attract exciting sights. 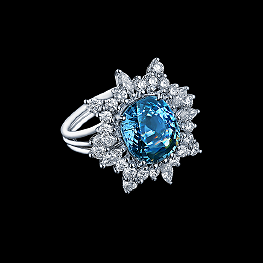 A gemstone, mined in Burma, is encircled with sparkling diamond petals which emphasize gentleness and lightness of the main stone. 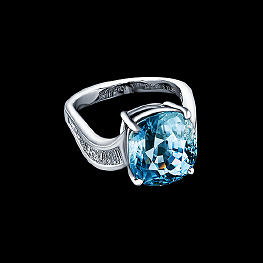 A complicated diamond frame will give a genuine luxury lover in you.